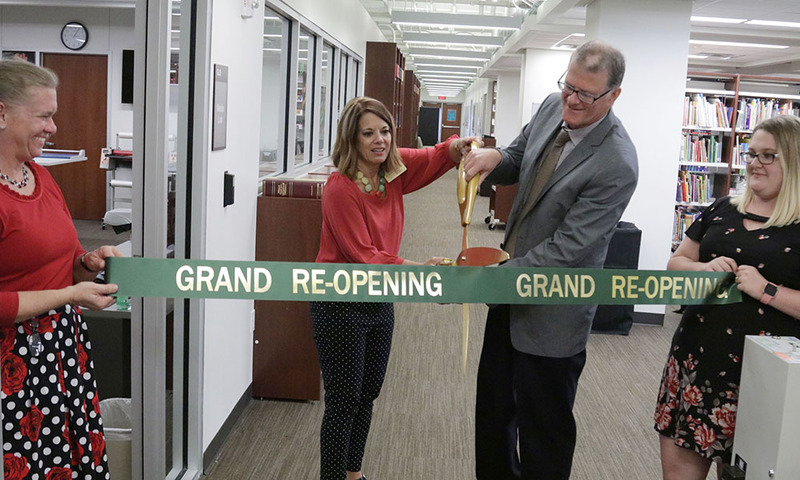 When Pam Voyles, associate librarian and director of the Learning Resources Center, joined the SOE team in March of 2018, she jumped wholeheartedly into the makeover to ensure students have a modern and comfortable space to work. Most of the grant helped with technology and general upgrades, while 30 percent was dedicated to the children&rsquo;s literature collection development. New white boards in the study areas and new collaboration space with large interactive monitors were added. The Media Center was also upgraded and is now more open and accessible, with windows giving a full view of the technology and tools available. Education students can use multiple 3D printers, laminators, poster printers, projectors, and desktop computers for teaching and research. Graduates in Baylor&rsquo;s education programs for the 2016-17 year achieved a 100 percent pass rate on certification exams in the State of Texas, according to data from the Texas Education Association (TEA). The overall state average for 2016-17 was 95 percent. The rate includes all tests taken by Baylor graduating students, with more than 70 percent of testing students coming from the School of Education (SOE). It's the fourth year in a row SOE students have passed at 100 percent. Dr. Grant Morgan, associate professor of educational psychology, was appointed chair of the Department of Educational Psychology, and Dr. Tamara Hodges, senior lecturer, is serving as assistant chair. 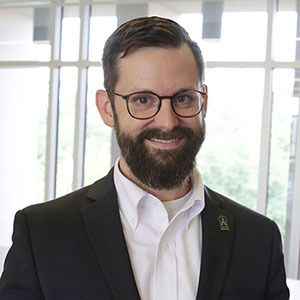 Morgan's area of expertise lies in quantitative methods, and he was recently elected chair of the Structural Equation Modeling special interest group of the American Educational Research Association (AERA). Morgan has authored more than 70 articles, manuscripts, book chapters, proceedings, and technical reports, and one book to date. 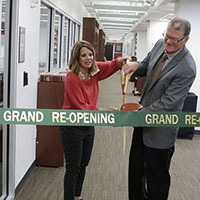 He said the department will continue its growth and enhancement of research in educational psychology, focusing on interdisciplinary scholarship and grant-funded research. A new graduate degree that offers initial teacher certification, the Master of Arts in Teaching (MAT), has been approved by the Baylor Board of Regents. Through a joint degree option, Baylor undergraduates can take up to 15 hours of graduate-level coursework as part of their undergraduate degree program, if approved by their home department. If students take full advantage of the joint degree option, they could graduate within 12 months of their originally scheduled baccalaureate graduation, receiving both degrees at the same time. Post-baccalaureate students from Baylor or other institutions may also enroll in the MAT to earn teacher certification. The program provides students with faculty-directed field work experiences modeled on the School of Education&rsquo;s nationally awarded undergraduate certification programs. Students also have a summer field experience, with options in informal education settings, summer camps or summer school. Options for certification areas include Special Education, Twice Exceptionalities (Special Education and Gifted and Talented Education), Elementary Education, Middle Education, and Secondary Education.